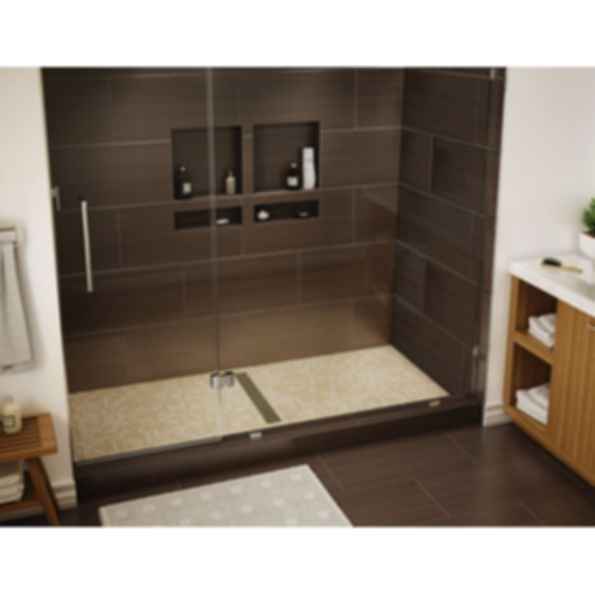 Tile Redi® introduces the Redi Trench® shower pan. Say hello to the industry's only one-piece, Ready-to-Tile™ shower pan with an integrated linear trench and trench drain, and choice of either tileable or non-tileable drain top. 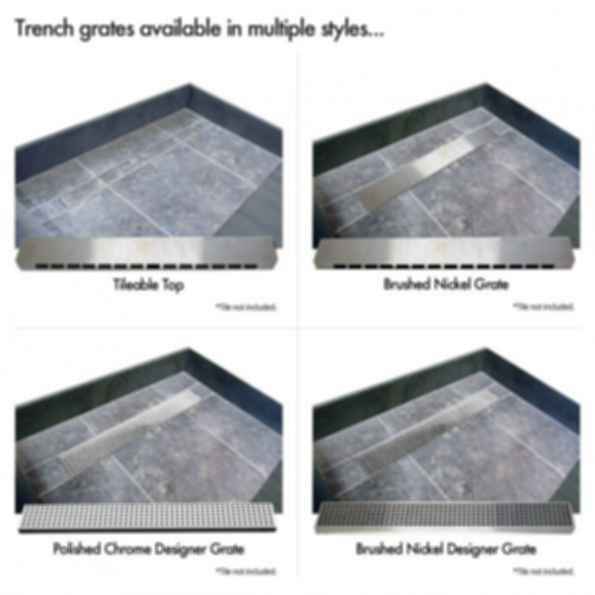 Recognized by panels of expert judges at Surfaces as the best new product of 2013, and KBIS (Kitchen & Bath Industry Show) as the best new bath product of 2012, the Redi Trench® line of shower pans is the most exciting marriage of design and function in the bath industry! 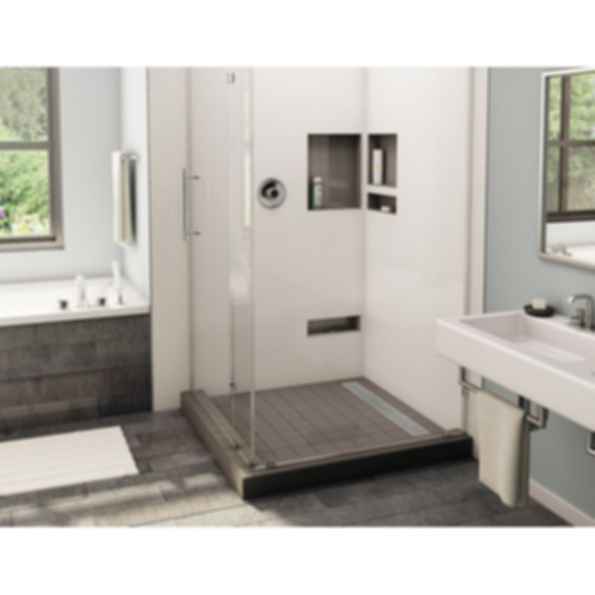 Redi Trench® shower pans meet the needs of both do-it-yourselfers and building professionals by offering genuinely innovative and exclusive bathroom shower design added to the established utility you expect from Tile Redi® brand products. 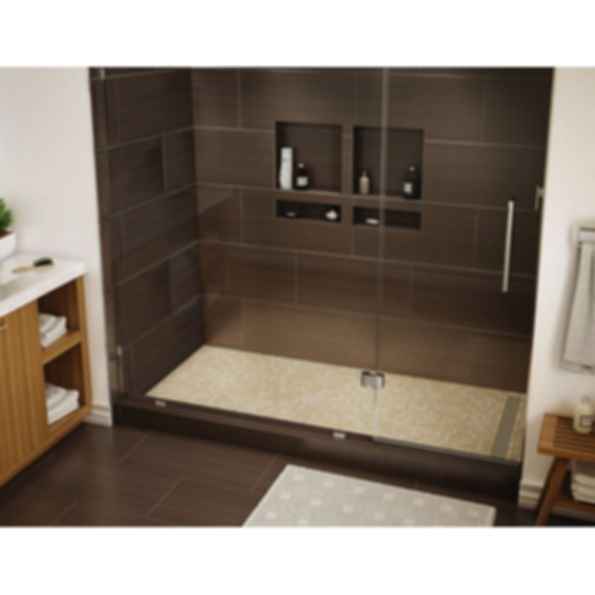 A linear shower drain (also known as a linear channel drain or a linear trench drain) gives a sleek, contemporary appearance for your shower floor, and we offer the choice of a tileable top - which means all you see is the beautiful tiled floor - or a stunning designer grate top.